Installation of production facilities and LED House lighting utilising GDS drivers, GDS ArcLamps and custom full width LED light boxes. 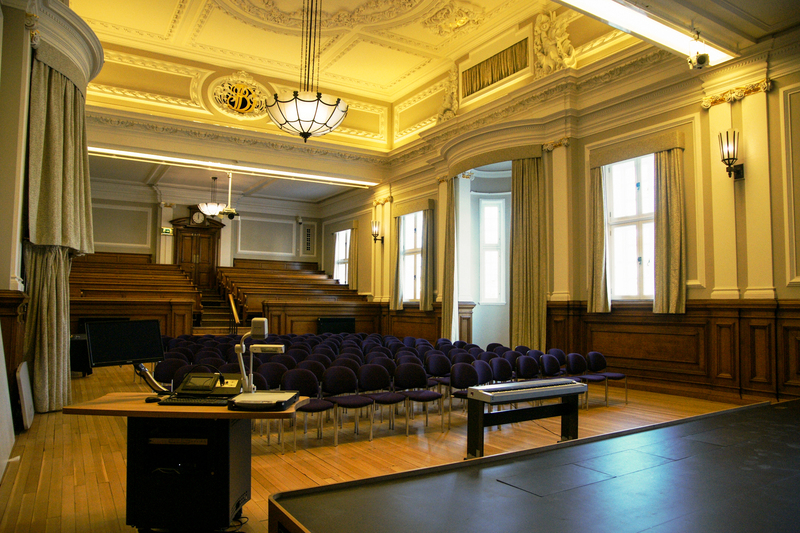 Push The Button were approached directly by Goldsmiths University who operate and manage Deptford Town Hall to provide a unique solution for the production facilities and House Lighting during the rebishment of the Council Chambers. Our engineers designed custom facility panels to meet the requirements of the client along with the design of the newly refurbished space. Custom LED light boxes with matching high level internally wired lighting bars were also specially designed and installed. The Town Hall’s Chandeliers and wall lights were refurbished by others but subsequently fitted with GDS ArcLamps utilitsing GDS rackmount drivers. These along with the light boxes and high level uplight LED strips are all controlled by a Pharos control system providing the end user with a simple interface to operate the lighting. All LED sources have a 2700K colour temperature to enhance the warm colours of the space.